If you're looking for a beautiful park like setting on close to a .5-acre lot inside the Watterson Expressway in 40207, then look no further! This beautiful sun filled home located on acul-de-sac in Indian Hills offers a wonderful flow with loads of space. 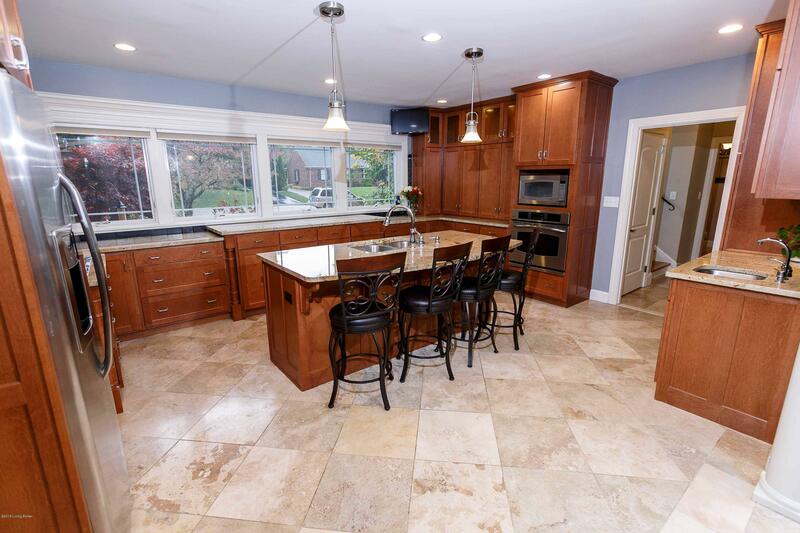 5 bedrooms, 4 1/2 baths, windows galore, first floor master en suite, and more! Open to the dining room the huge kitchen offers shaker style custom maple cabinets, granite, a huge island, stainless steel appliances with gas cooktop, and fabulous views through a stunning row of windows. The family room is located just off the kitchen with fireplace, built-ins, and once again, views of the peaceful private rear yard. First floor laundry room, mudroom, powder room, living room and sunroom complete the easy main floor living.